Hello everyone! My time off from reality the blogging world has sadly come to an end. I do feel a twinge of guilt for not diving straight back into my blog, for what seemed like an eternity, but it was only 3 weeks. But before I babble on about my adventures and mishaps, I want to bring to your attention a serum that trekked 1 ocean, 4 cities, and 5 flights with me. My biggest skincare battle have been my mild breakouts. Luckily, my flare ups have lessened the older I’ve become but they still remain and generally occur premenstration. Finding products to clear up the aftermath (i.e. acne scars and dark spots) has been a battle I had yet to win… until now. I initially couldn’t bring myself to purchase a night serum and, much more, for nearly $100. Though as time passed, I started seeing more reviews pop up through the blogging circuit (other reviews here and here) that ultimately swayed me. When I finally had the mind (and funds) to purchase it, I had pretty high expectations. With all the positive reviews and high price how could I not expect something short of a miracle? Well, Yüli, you’ve kept your promises and I am pleased to say you’ve gained a loyal customer! I’m glad I ordered when I did. They had just switched over to black glass (MIRON violet glass, I presume) packaging that is UV-deterrent to protect the potency and freshness of the ingredients. I was really impressed that the dropper bottle was sealed. As a customer, that’ll notify me if someone had tampered with my purchase. When I opened the bottle, the spicy and slight woodsy fragrance was quite potent with ingredients such as frankincense extract, reishi (mushroom) extract, and renewed minerals complex. It was a little unexpected for me but now I’ve come to welcome it with open arms. 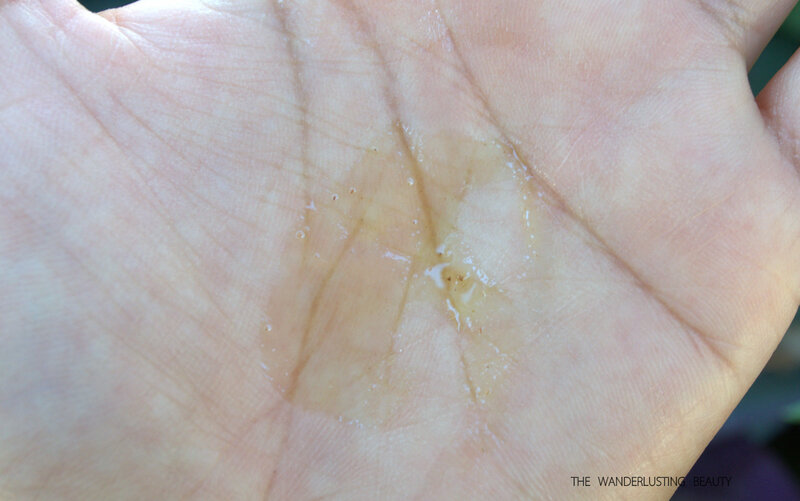 The oil is light and sinks easily into the skin. When I first saw the sediment in the oil I was a little concerned. I thought to myself, “Hhmph, I wonder how that is gonna work on my face?” It’s really nothing to worry about though because the sediment actually breaks up and blends in with the serum. Every night I squeeze 3 drops in my hand, rub them together, and smooth the serum all over my face. I allow it to sink in before I go to bed every night and I wake up with calm and even toned skin. Read the full description on the website! It took some weeks before I saw any difference. The first few weeks I wasn’t really seeing anything and was becoming a bit discouraged. However, about a month into use I started noticing some of my scars lighten up or become smaller. I had a group of scars on my left cheek (cell phone) that felt like they would never go away. I am now happy to report that they are practically gone. I also breakout quite badly on both my temple areas – just above the arms of my eyeglasses. That area was getting so bad I actually started seeing slight pitting. I was desperate. Today, I still break out in that area but the slight pitting effect is now gone and I don’t believe that was a miracle. It was definitely from the help of this serum. I used to stress over the unsightly marks left on my face from a breakout and now I can rest easily every night knowing that they my face is being repaired. This is truly a unique serum. I’ve never encountered anything that works quite like it. With that said, I might have built a slight dependency on it. As a green beauty blogger, I should try other serums once I finish this but I don’t know if I can or want to. I truly appreciate their packaging – very modern and unisex. Masculine enough for gents but luxurious for women. You might think that applying an oil on your pimples will only add fuel to the fire but it’s actually the opposite. I run to this stuff if I have a pimple. It doesn’t clog my pores or cause more breakouts. If anything, it helps speed up its phases so that I can extract it sooner rather than later. So if you’re acne prone and have normal/dry skin type then this is definitely the serum for you. But if you’re not then don’t fret because it’s actually good for all skin types! Have you tried this serum or other Yüli products? I’m with you on the pain of seeing unsightly acne scars and blemishes because I still go through that kind of experience. Sometimes it’s hard being outside and around people when you feel uncomfortable with your own skin! I have a question though – do you have hormonal acne? If you do, does the serum make it a little better? This is such a great in-depth review of the serum! I’m going to think really hard on this and see if I want to splurge on it. I have so many other serums (although they’re not really for acne) to use up! Thank you so much Marcy!!! I feel that now my breakouts are more hormonal whereas when I was a teenager they were just anything-type-breakouts. This serum has definitely helped my pimples leave less of a mark on my face. Before this serum, practically every pimple left a mark and now the small, unimportant ones come and leave with no trace of them ever being there. It’s awesome. Great review! I’ve been wanting to try this product and it’s great that you had such a good experience with it fading acne scars and treating you’re skin. That’s definitely something I’ve been searching for in a serum so maybe I’ll try this soon! Thank you, Kasey! I hope you get your hands on it soon. It’s truly a wonderful product! Hi i use this serum too, but more as a spot treatment in the are where I have scarring/pigmentation (as per description/recommendation on the bottle). I have only been using it for 2 weeks so have yet to see results, but the other yuli products I own have been fab so far. Hi Lara! Please be patient with this product. It took some time before I started seeing the slightest improvements. And I hope you get the same positive experiences as me! I can’t justify using it as a spot treatment. That price is too high and you have to use within 8 months. So to ensure I get my money’s worth, I use it all over my face. I know, I wish it would come in smaller sizes….. Yes I will be patient. Amazing review. I love that you were patient with it and it actually helped with your scarring at the end. When you first started off, how many times do you have to use it? I have lots of acne scars that need lightening up, and I am so intrigued with the comment that you said because sometimes I don’t pick my pimples and it would still leave dark marks. How light is the serum? I would love to try it but I don’t want to interfere it with my usual cream moisturizer routine :(, I wonder if I can still layer. (so hard trying to be consistent where there are so many great products out there). I use it nightly all over my face. I get marks from pimples that I don’t pick and the serum still helps with healing them. I think the serum is a medium consistency but my skin absorbs it very easily. It’s definitely not as thick as the REN serum I was using several months ago. My skincare routine is (1) face wash (2) lotion (3) serum and (4) cream/balm [optional]. This definitely works with layering but I would be conscious and pay attention to what your skin is telling you. I agree, so many great products out there! 😀 Hope this helped! Lovely review! and really eager to try this beauty brand! Thank you so much! I also use their Pure mask and love it. The products from Yuli are great. I’ll definitely have to add your blog to one of my daily reads! Thanks you, Pemberley!!! Yes, it’s incredible how much my preferences have changed so much now that I’ve switched to green beauty. It’s definitely helped me become more open to things that I would have otherwise rejected. I’ve actually already gotten this, and I have opened the bottle and used it a few times, but holding off right now because my skin is so confused at the moment. I guess I should start using it on the hyperpigmentation I already have, instead of waiting for my skin to clear up (especially since I already opened it, sigh). 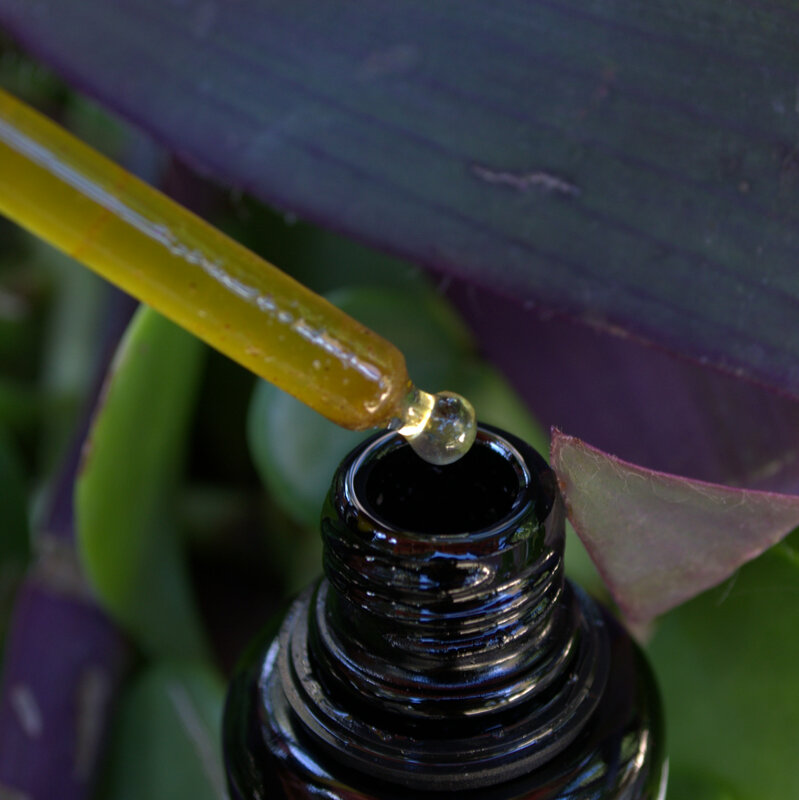 Is it okay to combine with another facial oil? I feel my skin needs something extra at night. Thank you, Lisa! Other readers have used it as a spot treatment if they don’t want to use it all over the face. Perhaps use it as that so you don’t waste too much by the end of the 6 months. I can understand why your face is asking for more moisture when it comes to this serum because it is light. I’ve never used it with another face oil but if your skin is asking for more moisture then by all means – listen to it. Layering a face creme on top will ensure that moisture is locked in. Mixing it with another face oil sounds like a brilliant idea. Please let me know if you do try it out. I have used this product every night for 3 months now and have seen no improvement on either acne scars nor hyperpientation; very dissapointed. Not sure why it does not seem to work for me?! Hi Laura! I’m so sad to read that dear. I truly am! How is your diet, skin type, and skincare routine? There may be several different factors as to why this product might not be working for you. And I’d like to help you figure this out, if you’d like. Hi, i know, thank you. My skin is on the drier side and quite delicate. I also get breakouts regularily (red little bumps) And scar easilly, hence cell perfecto. 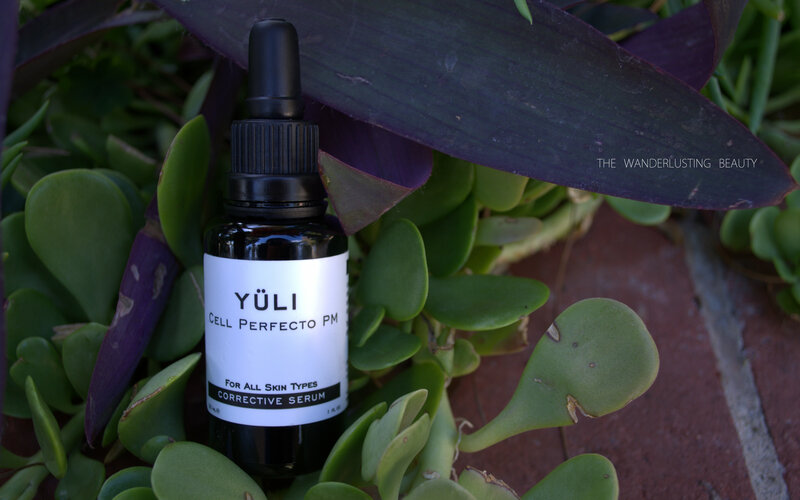 I use the yuli cleanser, followed by their cocoon elixir and then massage cell perfecto on areas with scarring/pigmentation. I usually follow with either a yuli oil or a cream (pai)I use the yuli mask once a week. In the am i clean with a konjac sponge, followed by cocoon, liquid courage serum and a spf. I am vegetarian and use flax seed supplements. Thank you! Sorry for the long wait on my reply, Laura. I consulted one of my best friends who happens to be an aesthetician since I’m not formally trained. She says that sometimes blemishes/imperfections in your skin are largely due to your hormones that can’t be simply fixed with skincare products. It’s something more internal than it is external. Being a vegetarian, your diet isn’t bad but I know there are foods out there that can help you control your hormones better. My next personal readings will actually be on controlling my hormones via foods. But you know your body better than anyone else and if you feel that it’s nothing internal then maybe I can suggest CELSUS scar cream. I’ve been seeing that around the green beauty circuit and have read nothing but positive reviews. I really hope this helps you! Please keep me updated on your progress! I’m so so happy that this worked out for you like it did me! It’s crazy to think this but I really do think that this product was also my confidence in a bottle. I tell people all the time that my face used to be riddled with pimple scars and they never believe me. A big reason for that is this serum. I hardly do any makeup posts because, like you, I believe your money should be more invested in skincare products. Thank you for reading this post and commenting!